Liberty’s Mobile World Congress 2018: Day Two and we’re heading to the moon! It’s day two at Mobile World Congress 2018 and the news keeps coming. This morning was dominated again by 5G. FCC chairman, Ajit Pai, told the conference in his keynote that the US plans to launch 5G auctions later this year. Pai stated that the US needed “modern, flexible, light touch network regulation,” to help it progress rapidly with the development and roll out of 5G services. Meanwhile, for the UK, the national telecoms regulator, Ofcom, announced it has approved six telecoms operators to take part in the forthcoming auction of 4G and 5G friendly radio spectrum, which will see 40MHz of frequency in the 2.3GHz band and 150MHz in the 3.4GHz band being distributed. Vendor, Airspan and urban Wi-Fi provider, Connexin have been named as two surprise bidders alongside mobile operators EE, O2, Three and Vodafone. In further 5G related news, Sprint announced that it will be bringing 5G networks to Los Angeles, Washington DC, Atlanta, Chicago, Dallas, and Houston first, with the six cities beginning to experience “5G-like capabilities” from April whilst China Mobile plans to start large scale 5G trials in the second quarter across 17 cities. And taking a more stratospheric view, Nokia and Vodafone Germany have launched plans to build a network weighing less than a bag of sugar to live stream HD video from the moon. 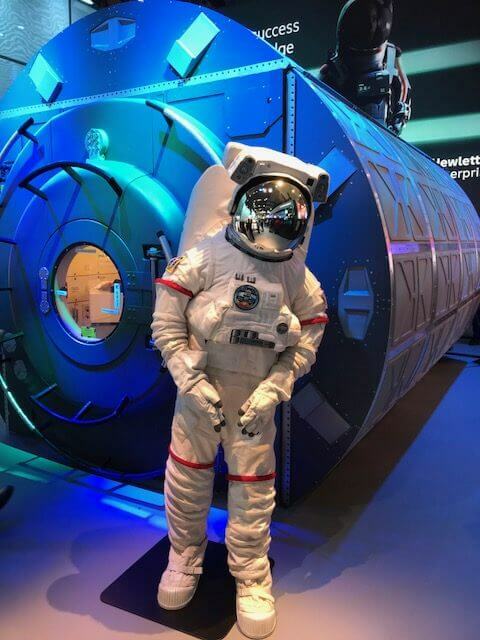 In addition to Nokia, Vodafone Germany is working with PTScientists, a volunteer group of scientists and engineers, and Audi in what has been described as the first privately funded moon landing. What will tomorrow bring? Stay tuned and we’ll fill you in! As for us, we’re off to apply our blister plasters and hand sanitiser and walk the halls with a tortilla sandwich at the ready! See you tomorrow! Make sure to follow Liberty on Twitter for all the latest updates at MWC this week.